First job for a new remodel client, Carmel Builders of Menomonee Falls, Wisconsin. 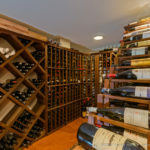 I met with the owner of Carmel Builders, Louis, at the property and we discussed the work his company did in building a wine cellar in a Shorewood home recently. The first thing you’ll notice is the amazing orange floor. It has the design of a bowling ball, only super shiny. The floor looks like it has 10 layers of thick lacquer on it. It’s really amazing and takes this beautiful space to “11”. 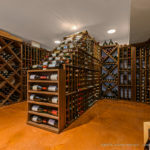 The sheer number of wine bottles was the second thing to catch my attention. 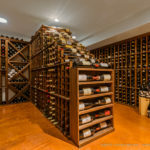 I cannot imagine how many bottles can be stored in this wine cellar but it has to number in the hundreds. There were small bottles, large bottles and bottles of all sizes, wooden crates and even a few bottles of vodka and gin all store neatly. Ample ceiling lights illuminated the space and I had no problem seeing what I needed to see. In fact, after I was set up and ready to shoot I was able to dim the lights, creating a more dramatic scene for the photos. All told I spent about 1.5 hours taking about 30 photos from various angles with minor adjustments to get just the right shots. I placed several flash units strategically, with some illuminating the space from behind bottles, some flashing directly on the bottles or bouncing off the walls or ceiling. Click the images below and they will expand to a larger size for better viewing. I hope you enjoy the photos and leave a few comments below. 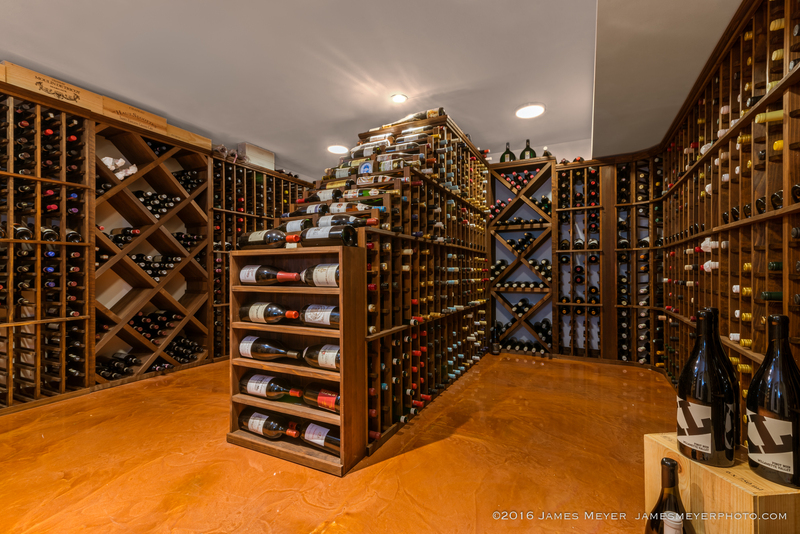 Love to hear your thoughts on this great wine cellar by Carmel Builders.